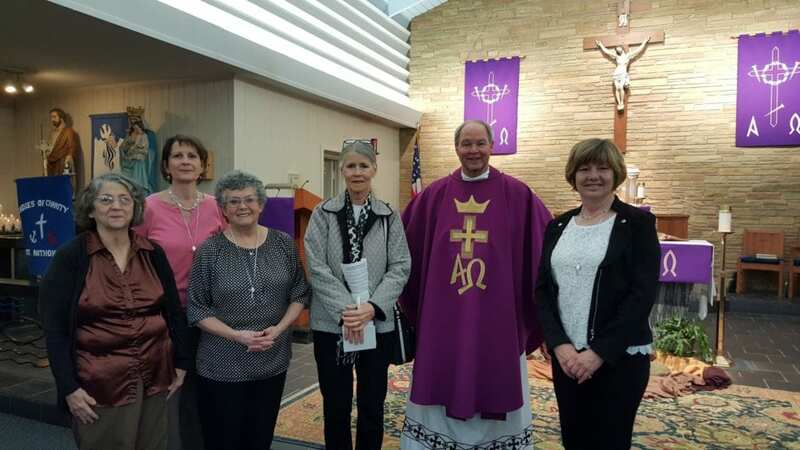 On Saturday, March 5, 2016, St. Anthony’s of Padua (North Beach, MD) welcomed 6 new members to their Ladies of Charity unit as well as welcoming their new Pastor, Father James Stack. They are so proud to have these wonderful ladies as well as Father Stack who supports the mission of the Ladies of Charity in their ministry to the less fortunate. Before the induction, several of these ladies had been very active volunteers in supporting the Ladies of Charity fund raising activities, pantry operations, and the Giving Tree project. The induction occurred during morning Mass, followed by a lovely reception in the Ladies of Charity Pantry House.